The Cobbaton Combat Collection is the result of one man's obsession for collecting militaria, from tin hats to tanks. In fact almost anything pertaining to the armies of the World and the civilians who were involved with them. Preston Isaac's love of collecting began some fifty years ago and his unique collection is still growing. 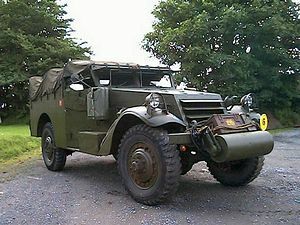 A recent addition is a Mercedes G Wagon, ex Argentine Falklands Forces, with the latest arrival a 1944 17 Pdr Anti Tank Gun. 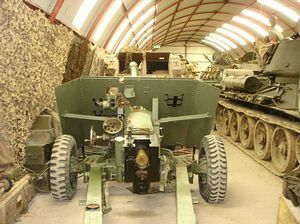 The main theme of the collection is British and Canadian equipment from the 1939- 1945 War. 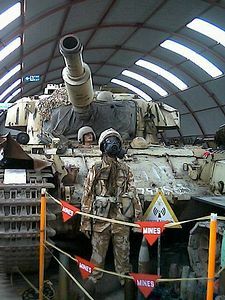 Also included are vehicles and kit from the Falklands and First Gulf wars, plus Warsaw Pact vehicles and equipment, and smaller items from WW1 and the Boer War. Two large hangars house the military displays, and many of the tanks and vehicles are arranged into tableaux, so are viewed in operational settings. The glider fuselage depicting a D-DAY landing was built for the film "A Bridge Too Far", whilst the German equipment includes a 20mm Flak 38 displayed alongside an imposing 150mm Howitzer, captured by the Russians. 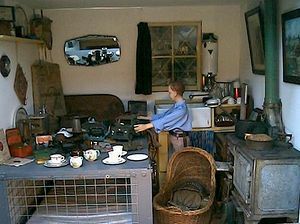 The new "Home Front" building has wartime British civilian life displays. A Red Cross First Aid Post, the WVS with a Soya Boiler, and an ARP Post staffed by two young women. The NFS and Bomb Disposal are there, not forgetting the Home Guard and a farmyard scene complete with two "Land Girls". 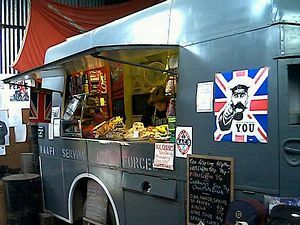 The Quartermaster's Stores offers a range of surplus uniforms, de-activated guns, militaria, books and souvenirs, and the NAAFI Wagon serves a selection of light refreshments. Outside is a picnic area complete with Sherman Tank and shot up 5,5" Field Gun, all in the heart of beautiful Devon countryside. 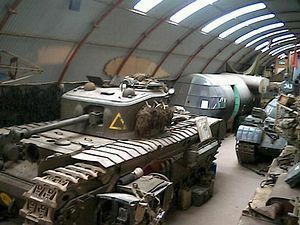 Cobbaton Combat Collection provides an exciting and informative venue for the whole family. Signed from the A361, A377 and B3227. From Barnstaple take the A377 (signed Tourist Route Exeter) and first left after Bishops Tawton Service Station.